I spend a lot of time at the computer desk, in case you didn't know that already. Today, I happened to look down and noticed Kaden had left his library bookmarks on the desk. How ironic is it that I can relate to them? And, they are quite cute. 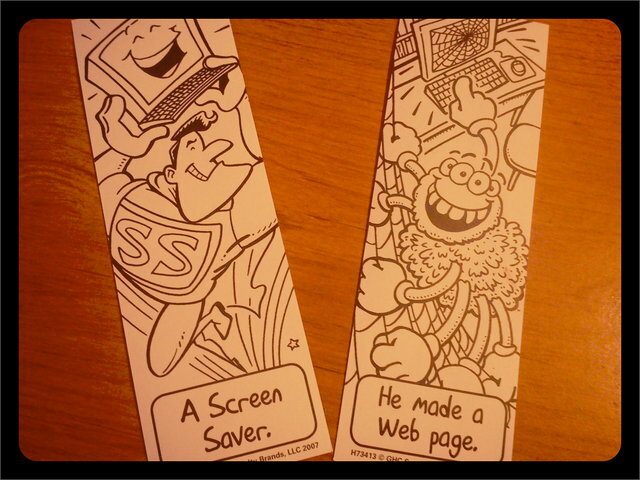 Bookmark #1: Q. "What do you call a computer superhero?" Bookmark #2: Q. 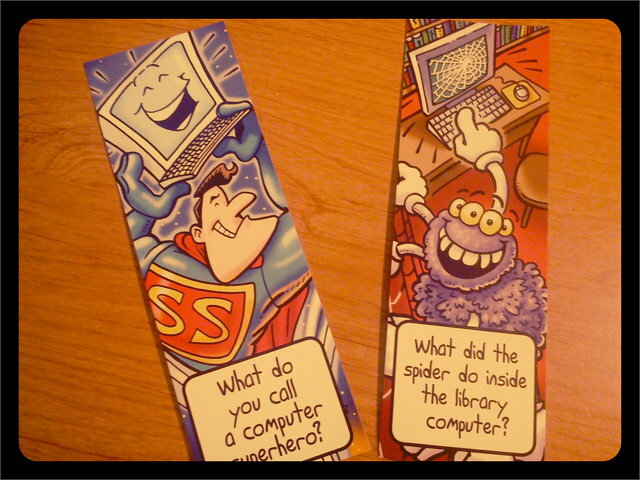 "What did the spider do inside the library computer?" A. "He made a web page." I'll take a laugh however I can get it.